He still has difficulty with lines but it’s a fortunate fault. In his latest project, a 45 rpm recording released by the Porcupine’s Quill in Erin, Ontario, he takes advantage of his deficiencies. 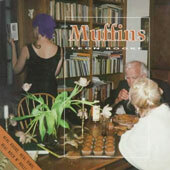 Rooke reads from ‘Muffins’, a short story that is part of a novel-in-progress. It’s a tale about a poisonous family -- a mother, father and daughter -- whose ubiquitous disagreements assume the tone of gothic vengeance. The daughter is a bit odd -- she has purple hair, wears a necklace of live lizards and reads nothing but Heidegger. 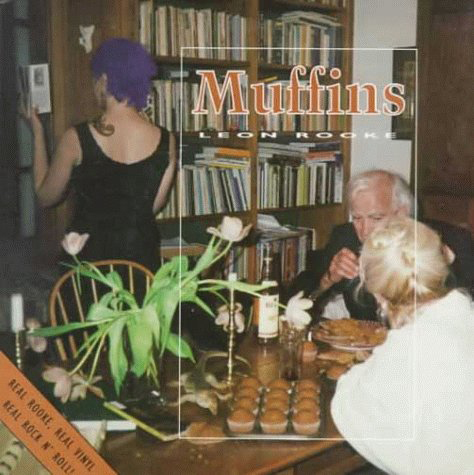 She also makes muffins named after her beloved philosopher, the recipe for which is included with the liner notes. Books in Canada: Earlier you mentioned Isabel Allende’s magical stories. The girl in ‘‘Muffins’’ with her lizard necklace -- she’s a creature from fable, isn’t she, ‘‘fabulous’’ like so many of your characters? Rooke: I believe there’s something in the human spirit that hungers for that kind of presence in one’s life. And our own experiences from day to day contain that element to a degree that would astonish us. And it’s very useful, we need that kind of magic, we need to believe in the spiritual element, because without it how do you live with the atrocities, people all over the globe doing hideous things to each other. It’s the sense of revitalization one feels every spring -- I mean the difference between these trees now and a month ago -- it was just stark, ugly, and bare. And now it’s opulent, verdancy totally embracing all over the place. I equate that magical presence of the extraordinary with what happens in nature. Just the other day I was standing in this room, and I thought, when I turn around I’m going to see a fish in that river -- I knew it -- and I did and there was a big pike -- about this long -- swimming right out on the water. Had I thought longer about it, I might have thought, what is it going to mean? [laughter] It’s that connection that happens with amazing, amazing frequency. Books in Canada: The conjunction of the magical and the quotidian. Rooke: Yes. And it seems to me that it happens a great deal more often to those people who invite it -- who issue the invitation that life does hold those riches if one will only welcome them. Books in Canada: And that’s what your fiction is about? Leon Rooke is an energetic and prolific storyteller whose writing is characterized by inventive language, experimental form and an extreme range of characters with distinctive voices. He has written a number of plays for radio and stage and produced numerous collections of short stories. It is his novels, however, that have received the most critical acclaim. Fat Woman (1980) was shortlisted for the Governor General’s Award and won the Paperback Novel of the Year Award. Shakespeare’s Dog won the Governor General’s Award in 1983 and toured as a play as far afield as Barcelona and Edinburgh. A Good Baby was made into a feature film. 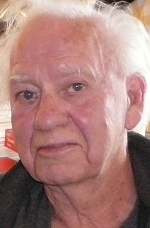 Rooke founded the Eden Mills Writers’ Festival in 1989. In 2007, Rooke was made a member of the Order of Canada. Other awards include the Canada/Australia prize, the W. O. Mitchell Award, the North Carolina Award for Literature and two ReLits (for short fiction and poetry). In 2012, he was the winner of the Gloria Vanderbilt Carter V. Cooper Fiction Award. He lives in Toronto.